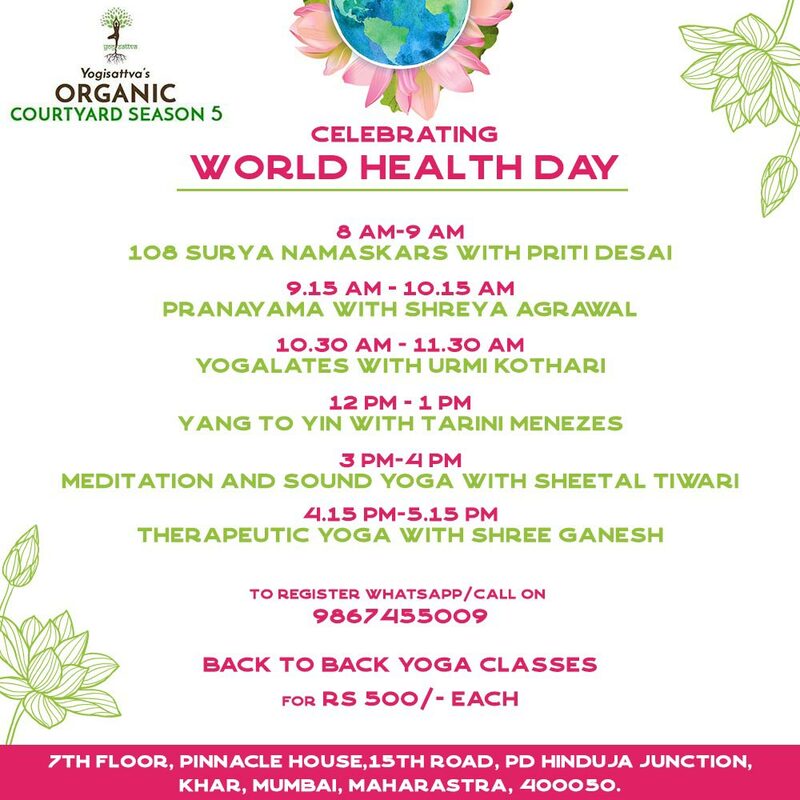 Join us for the 5th edition of Yogisattva's Organic Courtyard celebrating World Health Day. The Yogisattva Shala will have back to back yoga classes all priced at Rs 500 each. Pre registration is compulsory as we have limited spots available. After you finish class, you can relish in some Yogisattva food and dessert as well as indulge in some retail therapy with brands who have organic, handmade, natural and sustainable products and will be showcasing them at the outdoor balcony area at Yogisattva. About Shreya: A fitness enthusiast, a dancer & a traveller, Shreya is passionate about holistic health and wellness. 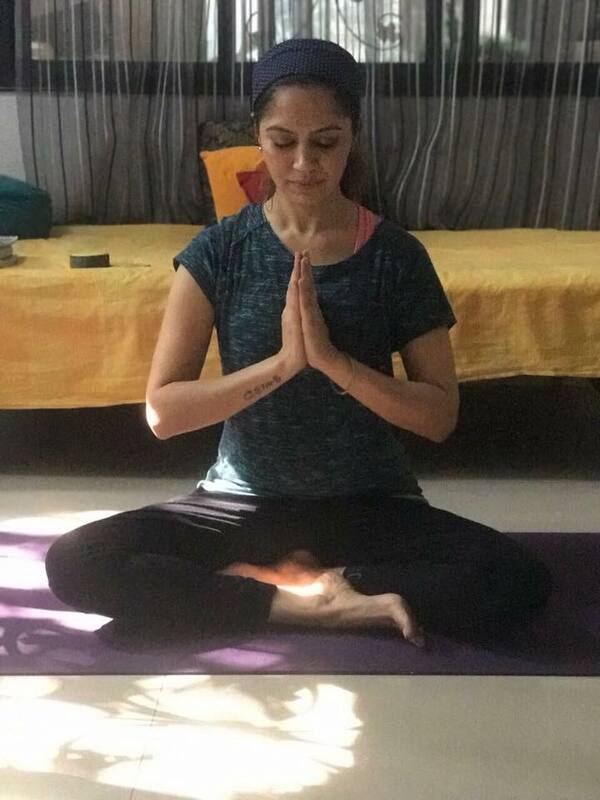 She fell in love with Yoga since day one, realising that it not only made her feel better on a physical level by doing things she wouldn't imagine she could on her mat but also on a spiritual and mental level. The fluid movement connected with the breath is something she swears by. She joined the corporate world and worked in India and SEA for few years. She is grateful to the practice which enabled her to face and overcome her own vulnerabilities and challenges at work. Inspired to take her practice further and gain more knowledge, she completed formal teachers' training under Sivananda at Himalayas and Bharat Shetty in Mysore. She also draws her inspiration from a diverse set of teachers she trained with in Mumbai, Bangalore, Gokarna, Bali and Singapore. Join her on the mat and be ready for an invigorating experience. 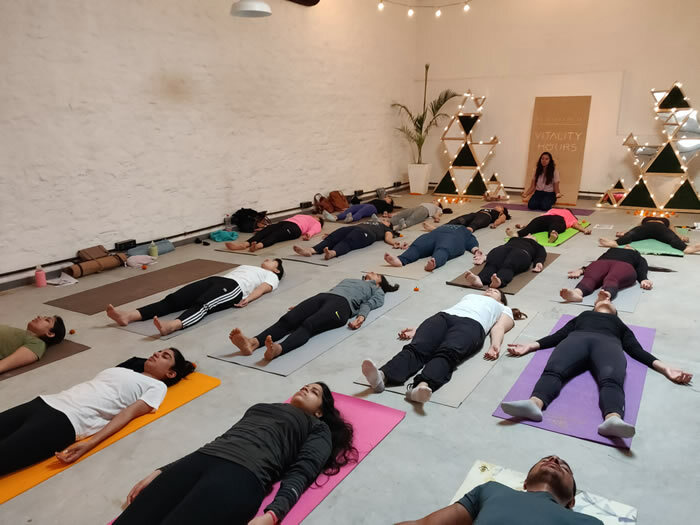 About the Workshop: The Surya Namaskar sequence has countless benefits helping us connect our movement to our breath while building strength, warmth, and awareness throughout the entire body. However, with improper alignment or lack of muscle engagement, we could harm ourselves. 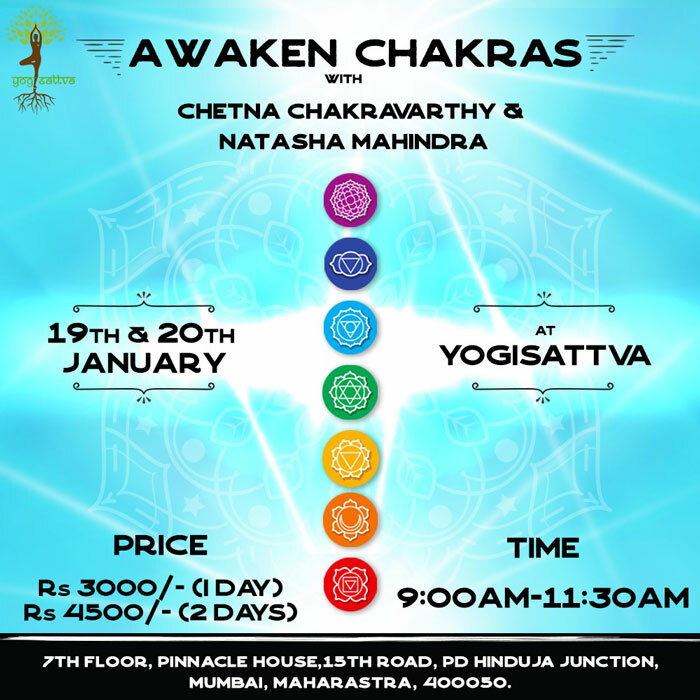 In this 90 minute workshop, you will learn the meaning behind this ancient practice and explore the different variations - traditional Surya Namaskar and sequences A and B. You will learn proper alignment, how to co-ordinate breath with movement and modifications to maximize the benefits for your practice. 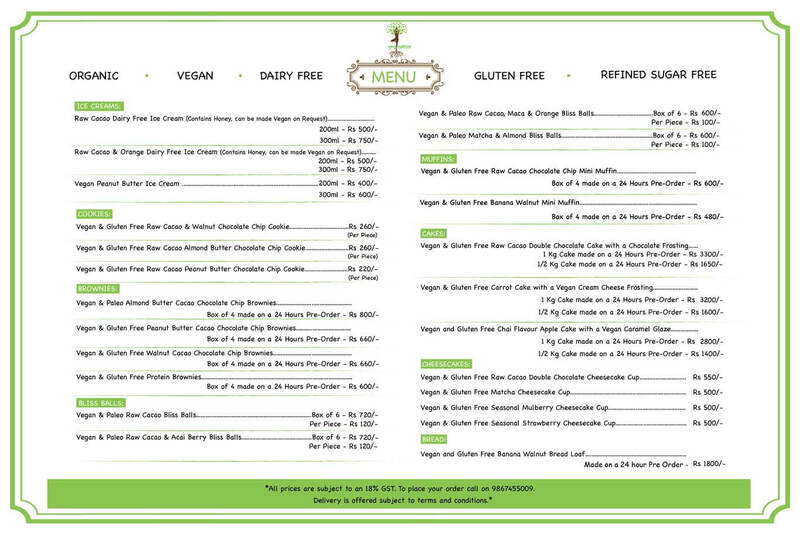 Post the Workshop, enjoy some delicious Organic Plant Based Brunch from Yogisattva. Get a new perspective on mobility and stress management through stretching and releasing tension in the muscles surrounding the hip joints. From a lifestyle of sitting long hours in offices and cars, our front hip flexors can become chronically tightened. Having tight hip muscles can lead to misalignment of the hips, pelvis, and over arching of the lower back. Fortunately the benefits from "hip opening" yoga poses/asanas can lead to immediate relief of this muscular tension and with practice lead to increased mobility and better posture. Outside of our physical habits, the muscles around the hips are often tight in response to habitual environmental and mental stresses. Through systematic stretching of the hips, you can release this stored stress and calm the mind. 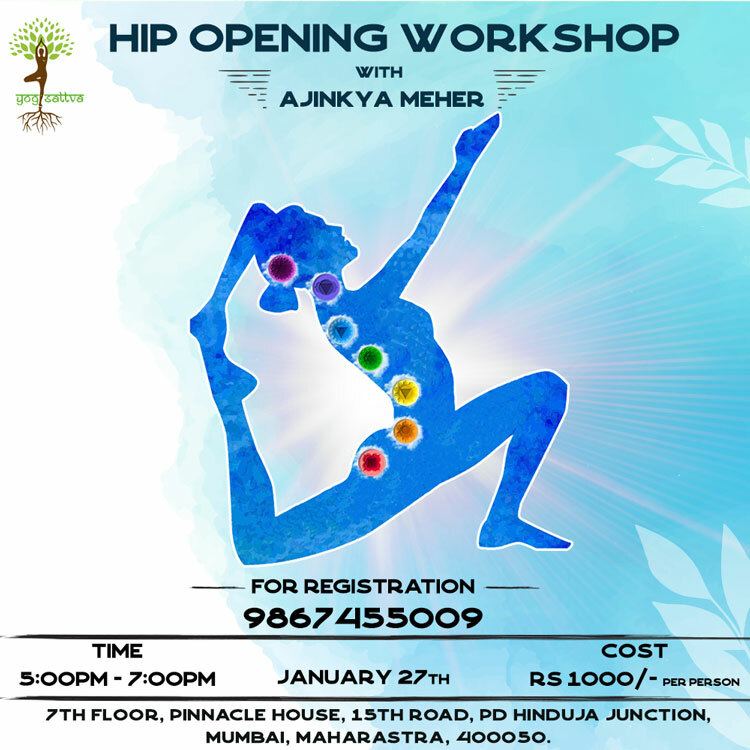 Join us to learn and practice hip openers led by Ajinkya Meher. Pre-registration is compulsory. About Tanvi: A professional dancer and certified yoga-trainer, Tanvi Mehra founded Tangerine Arts Studio with the aim to provide lovers of fitness easy access to varied workout routines within one venue. An advanced yoga practitioner, Tanvi has multiple certifications in teaching from Yoga Institute of Santacruz to Indea Yoga in Mysore. She also recently completed her certification in Prenatal & Postnatal yoga from the Mindful Birth in Association with Yoga Alliance. 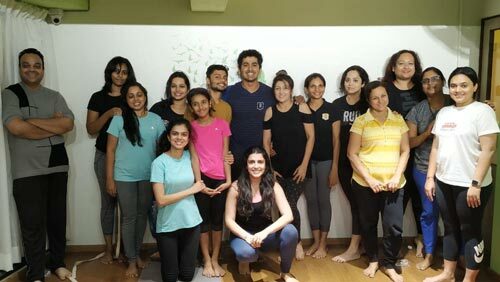 In addition to being the resident yoga teacher at TAS, Tanvi also teaches multiple styles of dance including Bollywood to private groups and individuals. When she’s not at Tangerine teaching yoga or learning dance herself, Tanvi takes frequent trips to pristine beaches to swim, tan, dive and meditate. 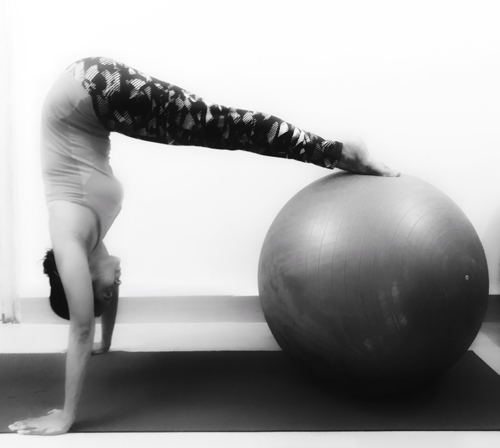 About the Workshop: Join Tanvi for a core and balance workshop which is open to all levels. Learn how to ignite the entire core group of muscles which span over the anterior, lateral and posterior chain of muscles. 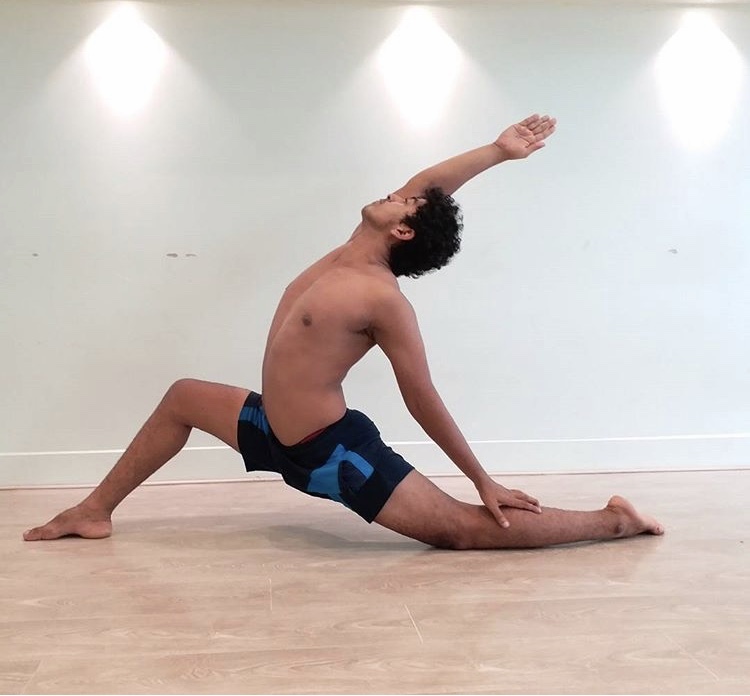 Once you spark the core use this powerful energy to work through balancing asanas including one legged poses, arms balances, connecting core strength to all that you do on the mat. End this dynamic practise with a relaxing body scan meditation in shavasana. Call on 9867455009 to register today. Pre-registration is compulsory. 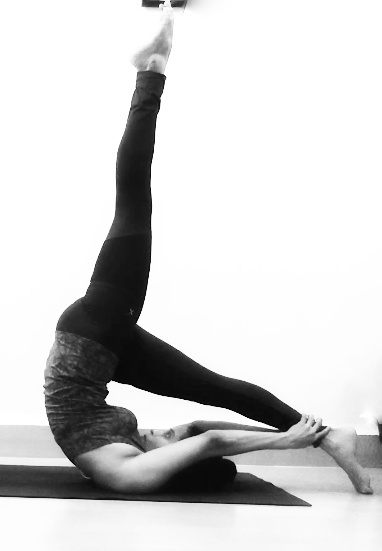 About Radhika: Radhika Shah is an Internationally Certified Yoga Teacher, having completed her RYS200Hours training. She has learned Hatha and Ashtanga Vinyasa Yoga, and loves to integrate pranayama, mantra chanting, and meditation into her classes. Her seamlessly woven classes help release toxins, develop physical strength and stamina, and leave you in a relaxed state of mind. Her set of modifications make the practice inclusive, thereby welcoming every individual at whatever stage they are at in their practice. Her classes are designed to create mind and body balance, ensuring a safe practice and an easy transition. 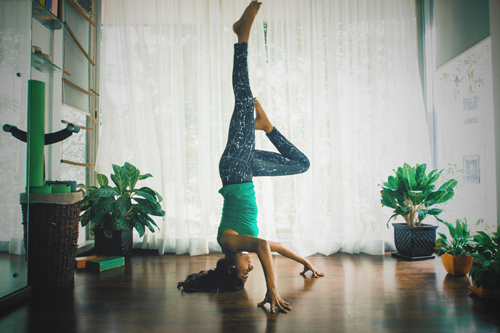 About the Workshop: Asana clinics by Radhika focus on alignments and a step-by-step module that encourages progress in your practice. This workshop focuses on the Hips and Hamstrings. Through this workshop, you will understand the finer aspects of anatomy to give yourself the right guidance in achieving your goals. Learn the art of mindful exploration, as you condition your hips and hamstrings to gradually reveal its natural abilities. Post the workshop enjoy an all organic, vegan and gluten free brunch by Yogisattva. Fascia may be the most understated system of the body, although it is a head to toe network of connective tissues which interact with every organ, structure, and system. The health of our fascia contributes to our range of mobility, shape of the body and even functionality of our internal organs. Yin Yoga specifically works on the level of fascia - stretching and releasing tension from the connective tissues and relaxing the muscles. It's a completely different, yet very effective approach to flexibility, which we will be explored during the workshop. Join Monica on the 30th of March for a Yin Yoga session and leave feeling incredibly relaxed and energised. *Please do carry your own yoga mat for the workshop. About Dr Brishti : Dr.Brishti Biswas is a physical therapist and a fitness expert with over 15years of experience and in-depth training. Her areas of expertise include Classical and Contemporary Mat Pilates flow- Basic, Intermediate and Advanced levels. She currently conducts group classes for Pilates in Juhu and personal trainings through custom programmes. Pilates is a blend of bodyweight, strength and flexibility training that strengthens the core and back, improves posture and gives you long lean muscles and a well toned body. Learn the principles of Pilates with the basic and intermediate mat sequence. Learn how to blend together these exercises in to a beautiful Pilates flow. Learn modifications to exercises to accommodate neck and back pain/strain. Practice exercises and get hands on corrections. 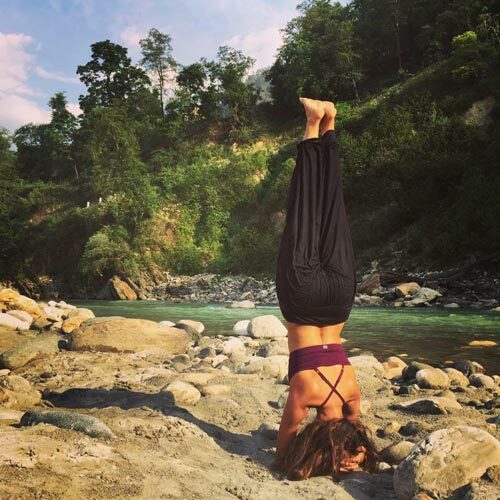 Pooja is trained as a Hatha yoga and Vinyasa flow teacher. She is also a Kundalini yoga practitioner and a trained Acupressure therapist. She has been teaching since the past 10 years but still recognises herself as a student first. She is certified as a practitioner and facilitator for Access Bars a part of Access Consciousness, which is another form of Energy healing. Join her workshop to discover yourself body on a deeper level and help it get rid of built up toxins. Join Pooja for the Kundalini kriya for the lymph system. There are hundreds of lymph nodes located deep inside the human body, such as around the lungs and heart, or closer to the surface, such as under the arm or groin. The function of the lymphatic system is to help the body to get rid of toxins, fight off diseases and infection. The most common diseases related to the lymphatic system is blockage in the lymph nodes. Cleansing the Lymph Glands Kriya is designed to help moving and cleansing the lymph glands, keeping the lymph glands in good working condition, boosting your immune system. 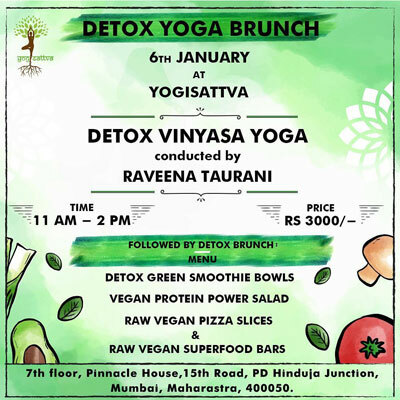 The workshop will end with a delicious organic, vegan and gluten free plant based brunch served by Yogisattva. Patchi is a full-spectrum transformation advocate: a renowned empowerment speaker, yoga and anatomy expert and Healthy Hedonism lifestyle leader. Whatever works to shift you from suffering to passion and fit, fantastic freedom, she finds it, and helps you apply in your busy life. She was born in Brazil, studied in the USA, and was exposed to living and working experiences in the last 18 years, in Portugal, France and Switzerland. She has practiced yoga since 2000, but it was after having spent a year’s sabbatical in India in 2009, during which she deepened her yoga studies, that the idea to share her love and knowledge of the yoga practice came. 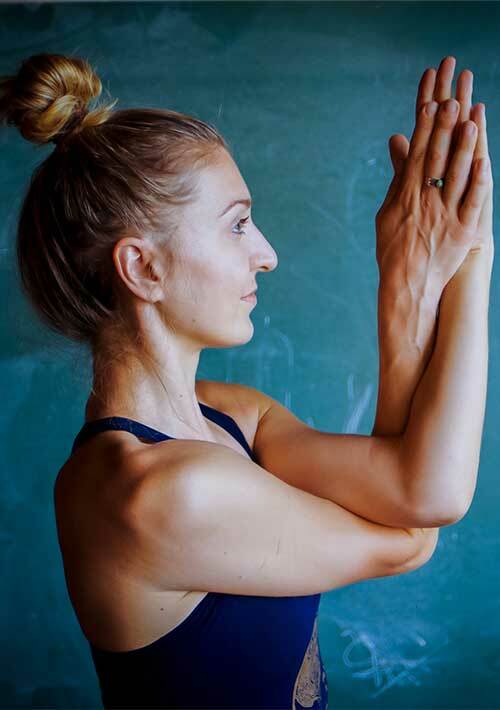 She studied with internationally-renowned Ashtanga Yoga teachers Paul Dallaghan et John Scott, and has participated in pranayama courses with master teacher O.P. Tiwari. She have also taken several retreats and meditation courses (Vipassana, Mindfulness, and Mindfulness-Based Stress Reduction (MBSR)). And she also has taken Kids Yoga Teacher Training with Rainbow Yoga International. Patchi travels internationally, learning and infusing her teachings with a real-world mix of eastern and western techniques that student can immediately apply to gain empowerment and success on all levels. Pre-registration is compulsory. Call on 9867455009 or email on [email protected] to register. About Sumitra: Inspired to study sound, nutrition, herbalism and holistic health after battling her own hormonal and physical ailments, Sumitra Daswani now guides others on their own path of natural healing. Sumi is a Board Certified Holistic Health Coach, Sound Healer and Founder of 'Born From the Earth' - a natural healing company. As a Sound Healer, she has been certified in Sound and Frequency Healing and Elemental Vibrational Therapy, using Himalayan Singing Bowls and Solfeggio Tuned Pipes to aid in stress reduction, detoxification and natural healing. 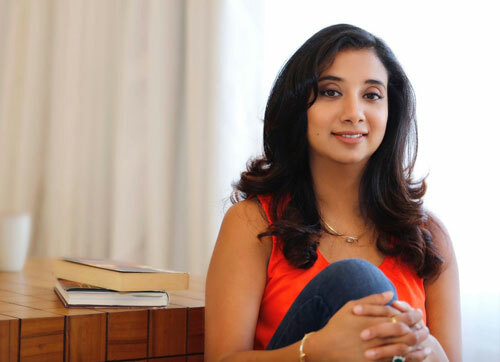 She has also professionally trained in more than a hundred dietary theories and practical lifestyle management techniques, along with Life Coaching, Ayurvedic Nutrition, Herbal Preparations and Medical Botany. She received her training at the Institute of Integrative Nutrition in New York, the Horticultural School at the New York Botanical Garden, the Kerala Ayurveda Academy, the International Academy of Sound Healing and Tao Sound School. A Virgin Islands native, Sumi has lived in the Caribbean, Miami, Connecticut, Boston, New York, Madrid and now Mumbai. She's a practicer of Zen Buddhism, Vipassana Meditator, Permaculture Enthusiast, Sailor, Surfer and Ocean Conservationist. 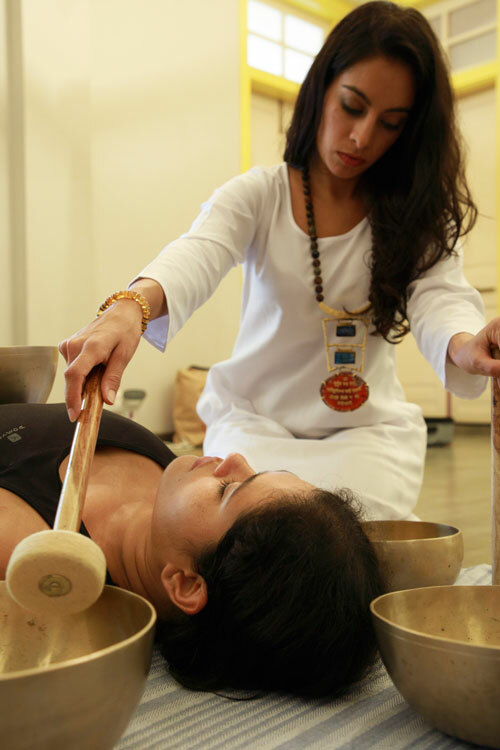 Join Sumitra Daswani for a Sonic Massage on Sunday with a deeply relaxing and restorative Sound Bath Meditation. Release tension. Quiet the mind. Slip into a sonic trance. Walk out with a greater sense of wellbeing. ️Shawls, eye masks, comfy socks, pillows and anything else to keep you cozy are recommended for you to bring. Full moon is a time to enjoy the fruits of our labour, to acknowledge all that has manifested. But as the moon gently vanishes moving us towards the new moon, it's a time to release all blocks and hurdles in our way. 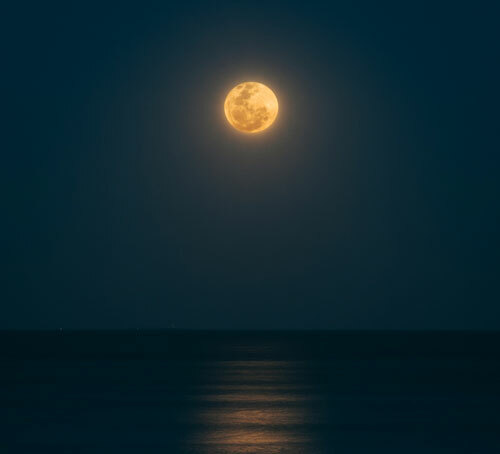 The full moon brings a night of completion and opens a portal in the following nights for us to let go of limiting beliefs, fears and chains of negative emotions that prevent us from moving towards our dreams. Join Positivity Angel, Chetna as she helps us cut those cords of negativity guiding us through a beautiful meditation to tune into the full moon energies full of gratitude and evolution. 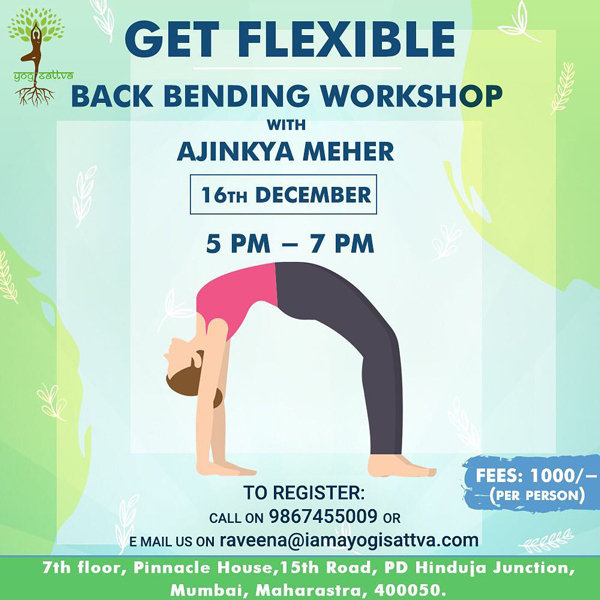 In this workshop Ajinkya will explore the balance between the effort and surrender in back-bending, putting together a sequence to lengthen the front side of the body, upper-back, and hips in order to free the spine, strengthening and working from the legs and the core to create stability within the poses. Come and join him for a two hour invigorating session at Yogisattva's Rooftop Shala. Call on 9867455009 to register. New moon is a time to set intentions and focus on all that we want to create. As the moon grows, so do the seeds of our aspirations that we've planted. The new moon ignites a new cycle infusing our desires with the energy of manifestation one night at a time. Join Positivity Angel, Chetna as she helps us set intentions, guiding us through a beautiful meditation to tune into the new moon energies and focus our being towards a powerful intention for the fortnight. Description: Start the New Year correctly This workshop will begin with a detox vinyasa yoga sequence conducted by Raveena focused on cleansing the internal organs of the body at Yogisattva's Rooftop Shala followed by a delicious all Organic, Vegan and Gluten Free Detox Brunch served by the Yogisattva Team. Menu includes: Detox Green Smoothie Bowls, Vegan Protein Power Salad, Raw Vegan Pizza Slices and Raw Vegan Superfood Bars. Day 1 : We are focusing on the earth chakras - root, sacral & solar plexus - to move into a deep state of forgiveness and letting go of the baggage that we need to release. No more lugging the past around. Through, yoga, chakra healing and a powerful forgiveness ritual we are creating space in the present for the future to manifest. Day 2 : The spirit chakras - throat, third eye & crown - will be awakened to create the energy you need to manifest your aspirations, goals and desires. We'll be walking into the future, quite literally, after a wonderful session of yoga and chakra healing in a beautiful manifestation ritual. Payment has to be made in full to block your spot. DM to register.